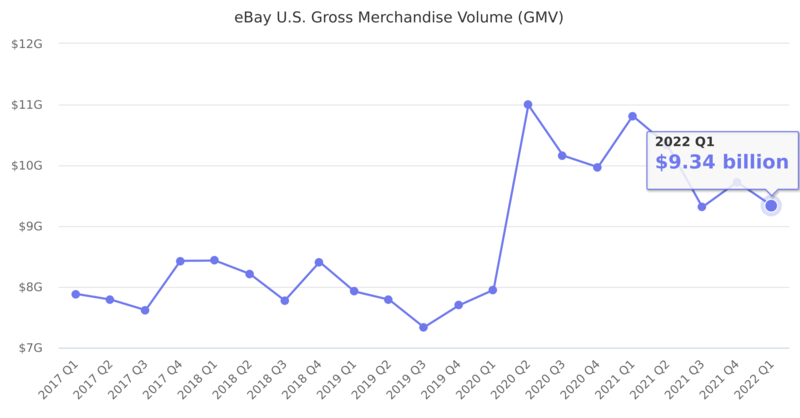 Part of total Gross Merchandise Volume (GMV) which consits of marketplace GMV and StubHub GMV. Last reported quarter 2018 Q4 it was $9.76 billion, down by -1% year-over-year from $9.86 billion. From $36.28 billion in 2017 it increased by 3% to $37.52 billion in 2018.